The Trinity is a profoundly hopeful doctrine. Not a ‘wishful thinking’ kind of hope but a ‘calm assurance’ kind of hope. Today I want to ask what it means for everyday life and in the next post I’ll ask what it means for the way we think about the future. We’ve already seen that it’s vital to knowing God and that it’s key to praying with confidence and enduring in difficult times. Remember Athanasius? The reason he was so het up about the Trinity was that he said that if Jesus wasn’t God, there was no salvation. Humans can’t save themselves, only God can do that! So if Jesus was not God, if he was just a human, he can’t save us. He can’t save us from God’s rightful wrath against us and he can’t save us from Satan’s grip on our lives. But if Jesus is God, if he is the Saving One, then we stand blameless before God. We have no fear of his anger, we are not condemned, we will not be punished. With the assurance that our sin and its consequences are taken care of, we live life in full and rich friendship with our Creator. And if he is God, if he is the Saving One, then he is the one who is bigger than Satan, who has triumphed over him. We have no fear of evil or evil spirits, not because they don’t exist but because we know Jesus has defeated them. If you live in a society like Tanzania, with its animist backdrop, you don’t have to be beholden to spirits and witchdoctors. Not living in fear is immensely empowering in and of itself. It sets you free to explore the world and grasp its fullness. Because Jesus is God, the Saving One, we are set free. The God-ness of the Holy Spirit adds another dimension to that. The Holy Spirit is God’s empowering presence. Jesus takes care of the consequences of our sin; the Holy Spirit empowers us to live in the light of that. 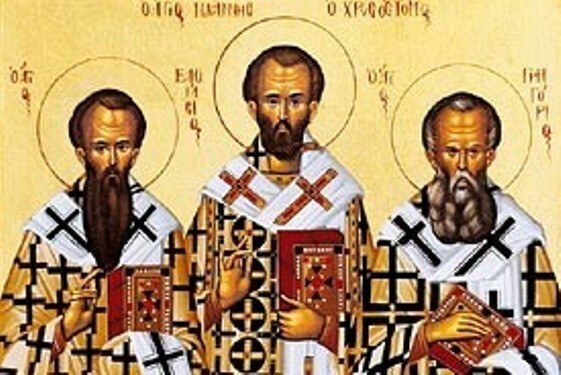 Remember the Cappadocian fathers? This was their big deal. The Holy Spirit is also the Saving One because he completes our salvation. He gets us to the finish line, if you like. If he’s not God, he can’t empower us to make right choices, to fight sinful desires, to live God’s way. The Holy Spirit being God matters in the nitty gritty of life. The Trinity gives us hope not only that we can be friends with God but also that we can live well now.